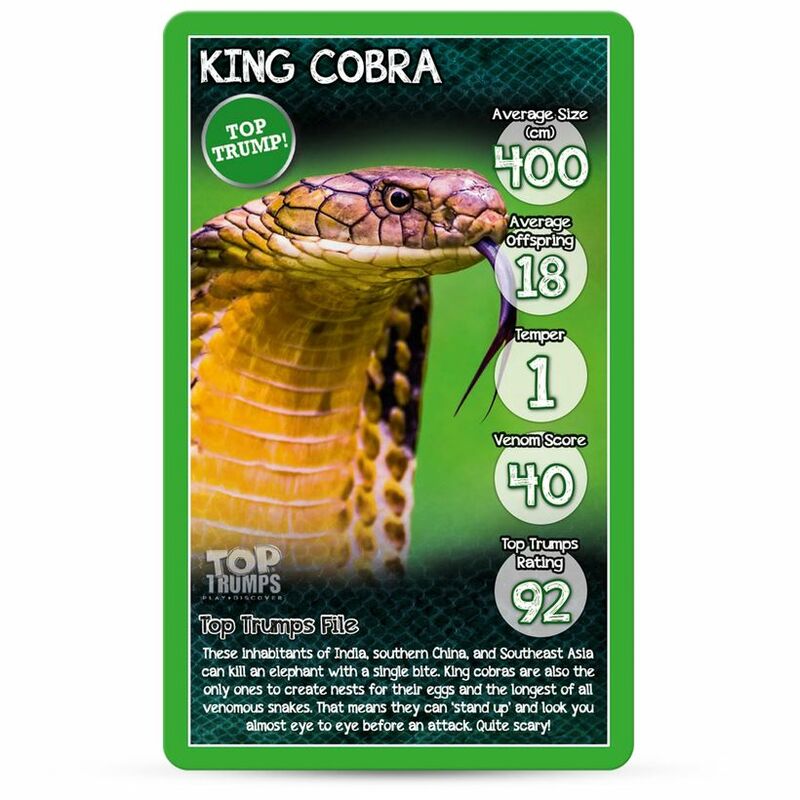 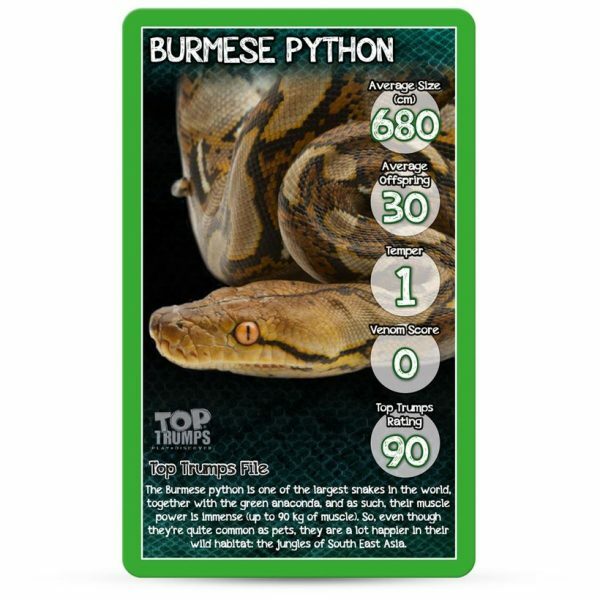 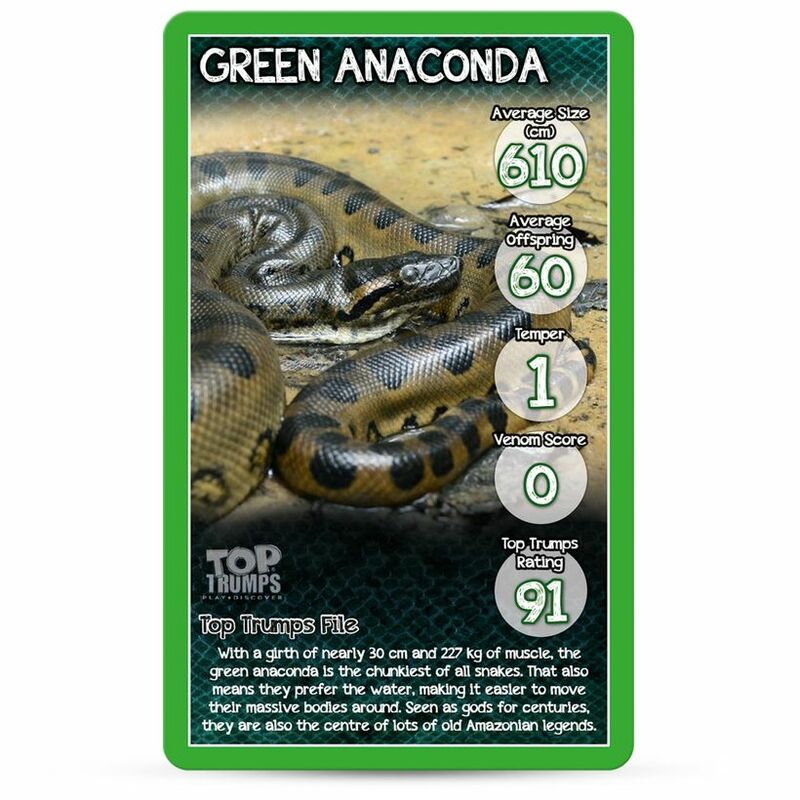 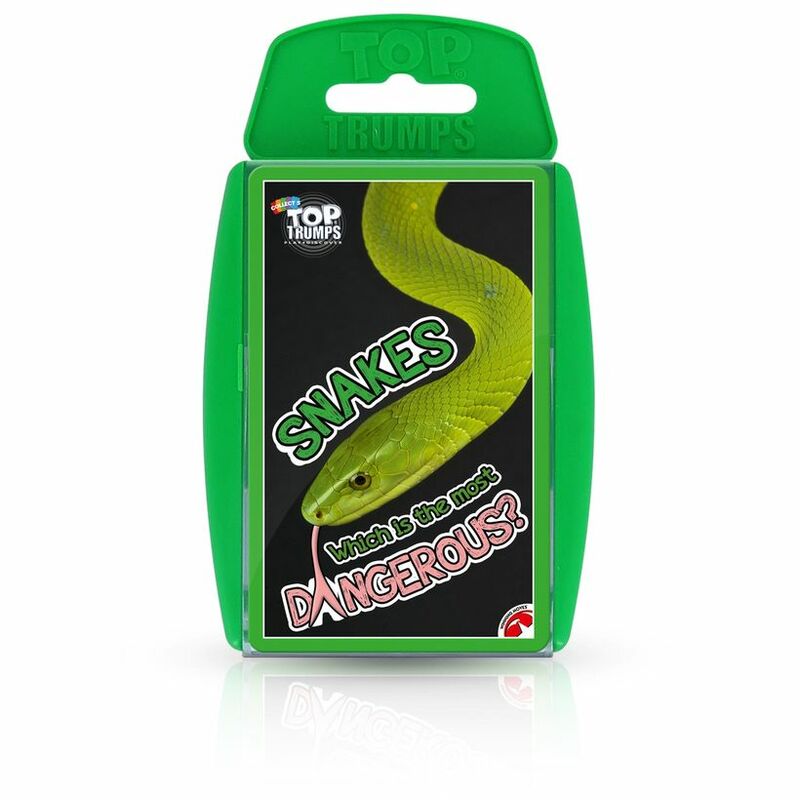 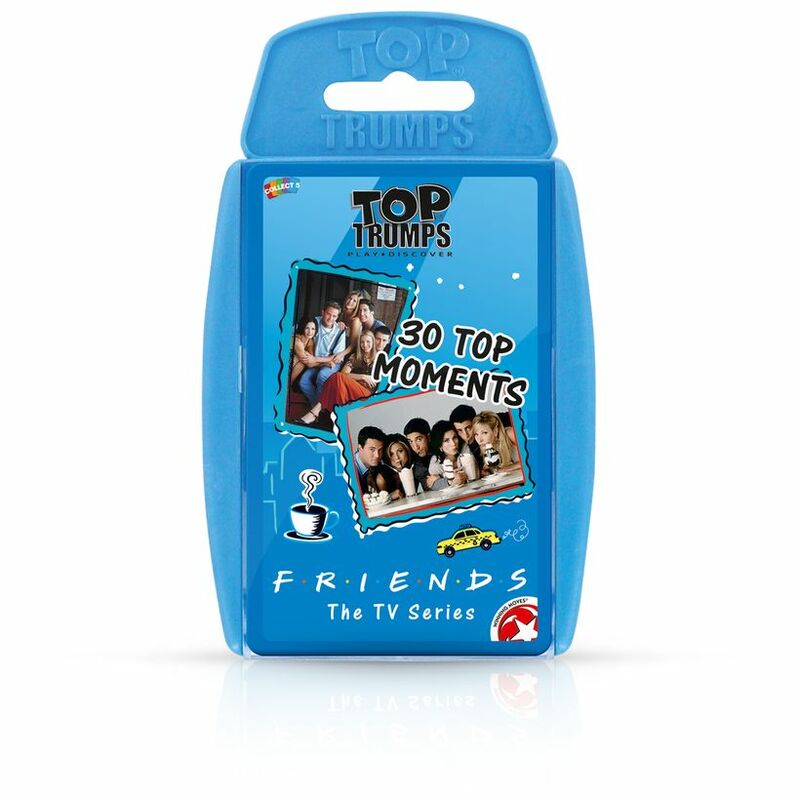 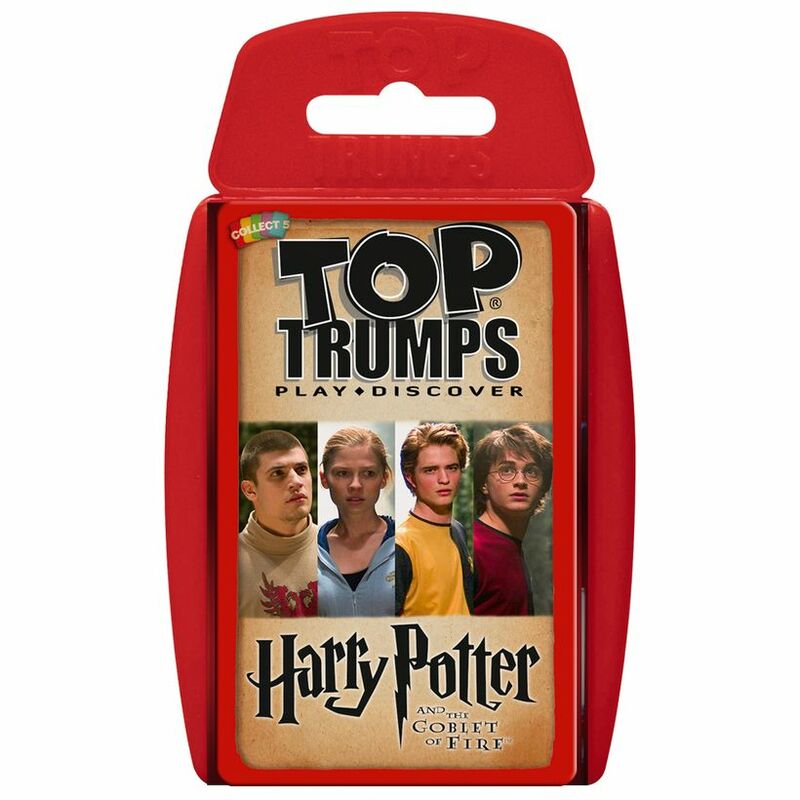 Slither and slide into the seriously surprising world of Snakes Top Trumps! 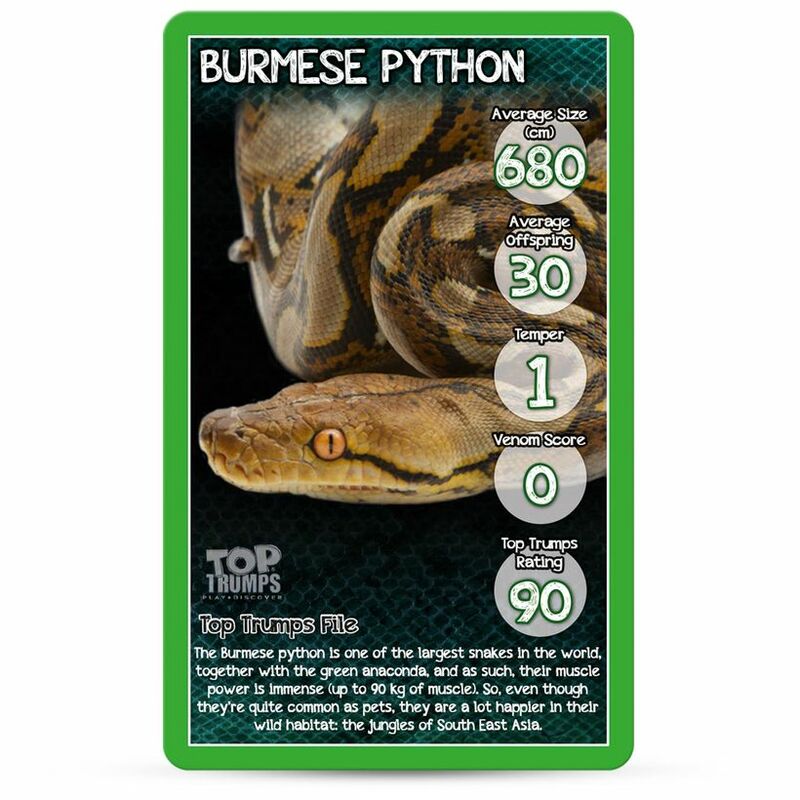 Become closely acquainted with the saw-scaled viper, the snake that scientists say is responsible for more human deaths than any other species each year! Find out more about the infamous boa constrictor, who surprisingly are quite timid and elusive creatures, or the green anaconda who were seen as gods for centuries and are at the centre of many Amazonian legends! 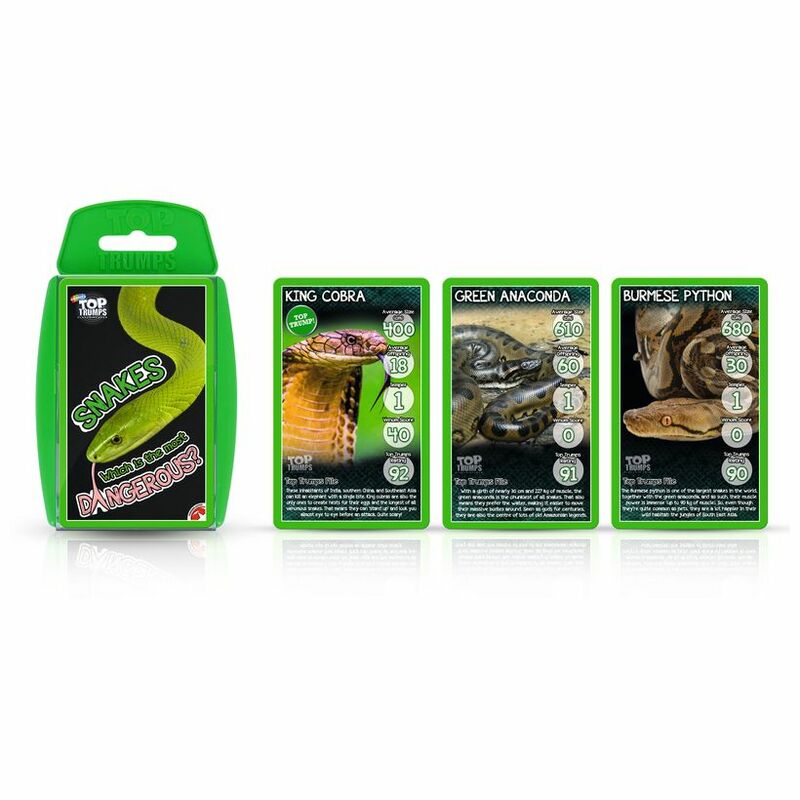 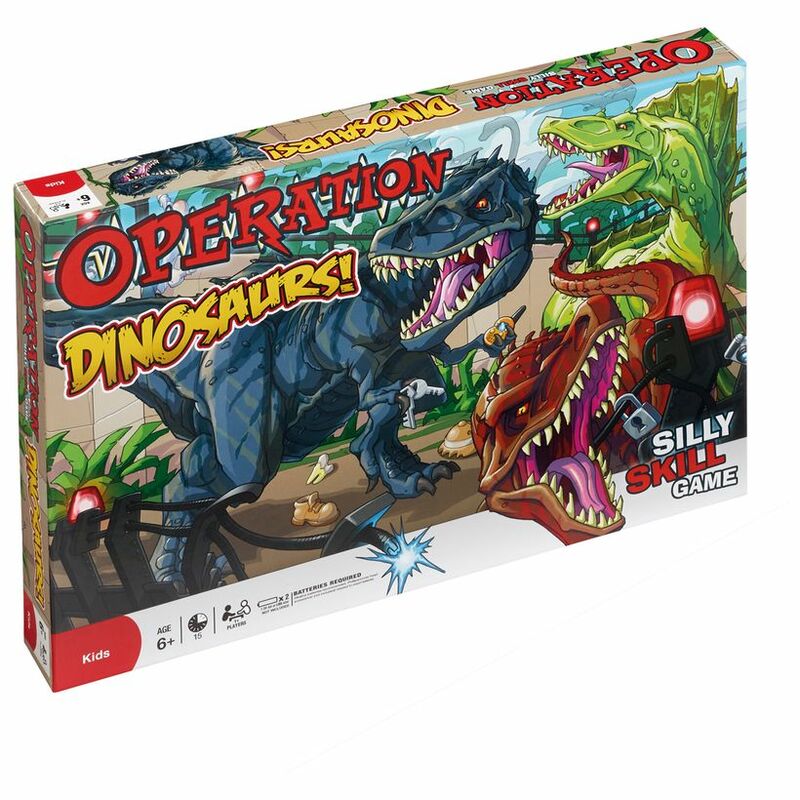 This pack includes 30 of your favourite fearsome snakes and is bursting with facts about these fascinating creatures.